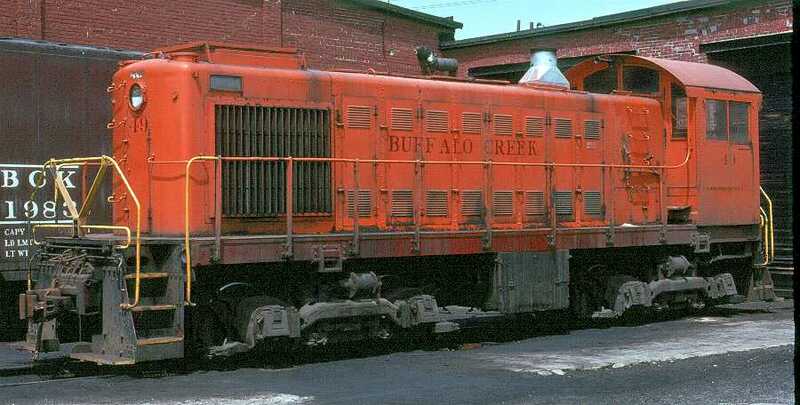 that once were a part of Buffalo’s past. 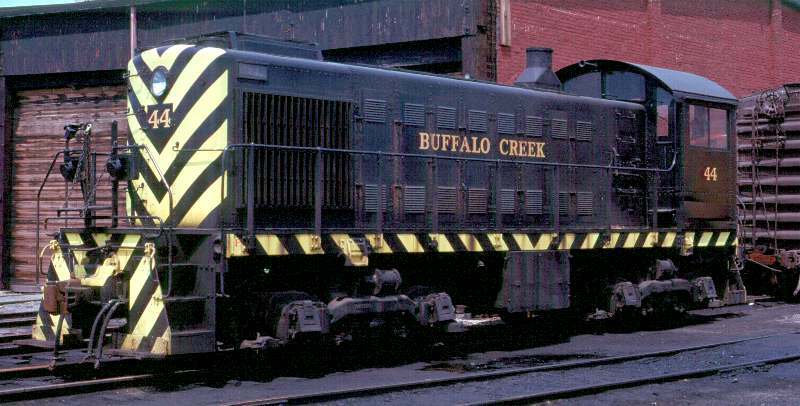 The Buffalo Creek, or the “Crik” as it is often fondly referred to, was the main railroad that served nearly all of Buffalo’s grain elevators — those not controlled by the Pennsylvania Railroad and others. 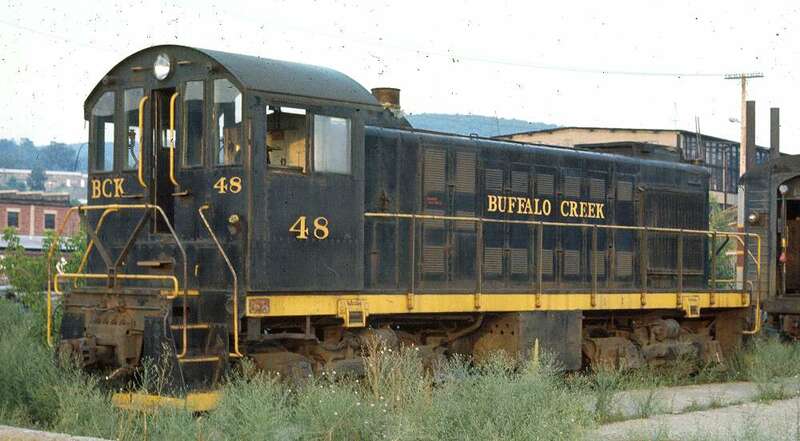 The Buffalo Creek was founded in 1868 and was used as a local terminal switching road completely within the city limits. 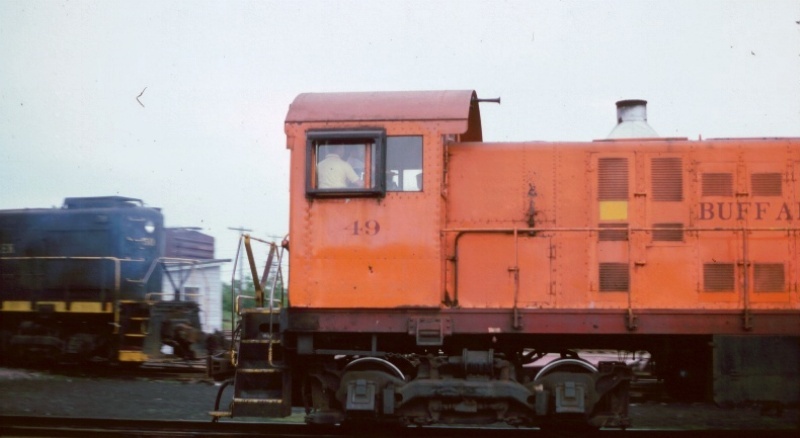 It’s main purpose was to service waterfront industries, but mostly the grain elevators. 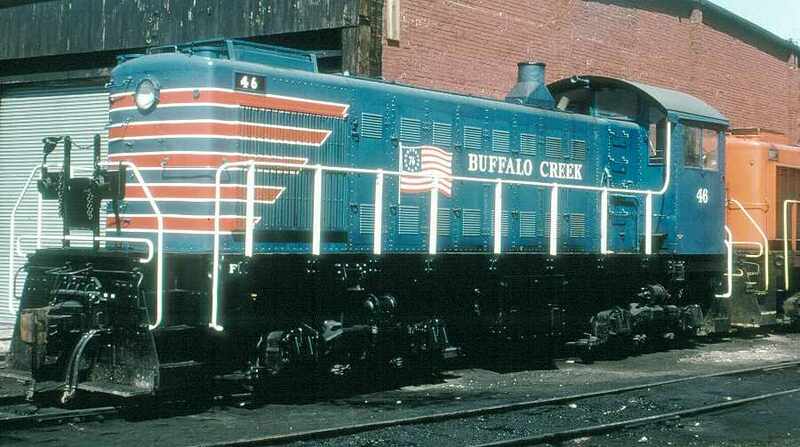 The Buffalo Creek was controlled by both the Lehigh Valley and Erie Railroads and offered connecting service with every major railroad that serviced Buffalo. 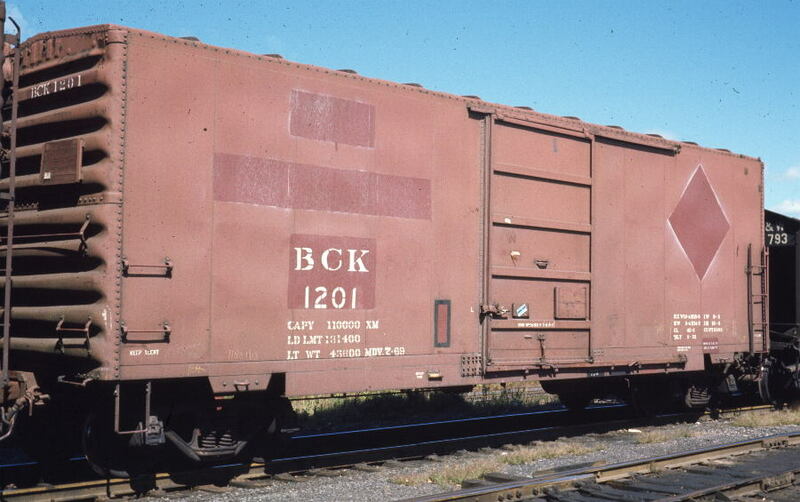 In this manner, grain was able to get in and out of Buffalo by rail in quantities just as large as if by freighter. 4.6 miles. 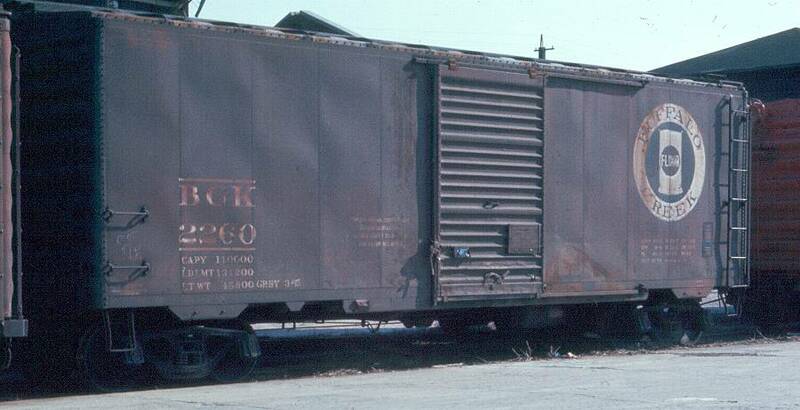 According to old Railroad Magazine rosters, the line owned 2 EMC SWs numbered 40-41; an EMD SW1 numbered 42; an Alco HH-660 numbered 43, and 7 Alco S-2s numbered 44-50. A more complete roster of the Buffalo Creek. 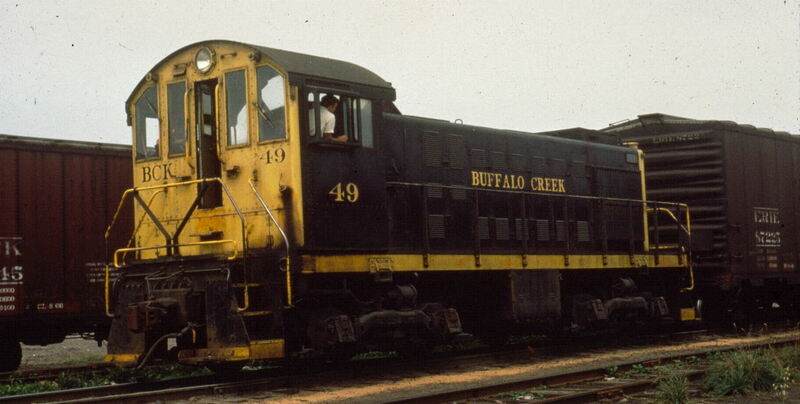 The former Buffalo Creek (BCK) mainline is now the CSX mainline between CP437 and CP2, (between what was once Tower 47 and BC Tower in pre-Conrail days. The Buffalo Creek RR bridge over the Buffalo River is in use. The adjacent Nickel Plate bridge is permanently raised. 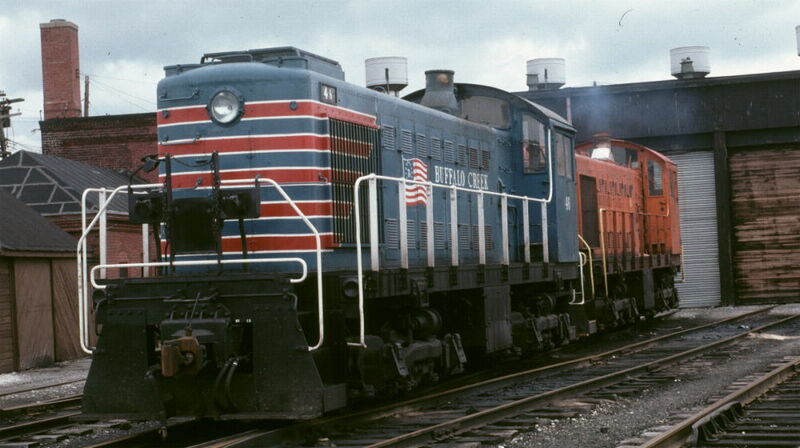 When Conrail was formed in 1976 the Buffalo Creek RR went along into it with the EL and LV. Here’s busy section of Buffalo from the early 1930s. 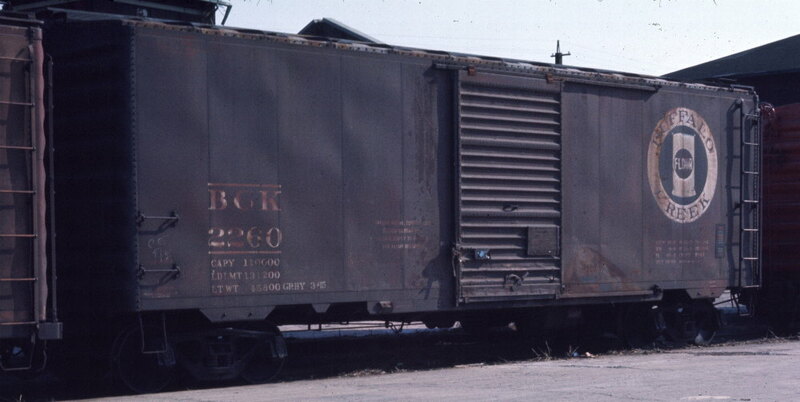 A small switching engine from the Buffalo Creek Railroad is making a delivery to one of the many warehouses. 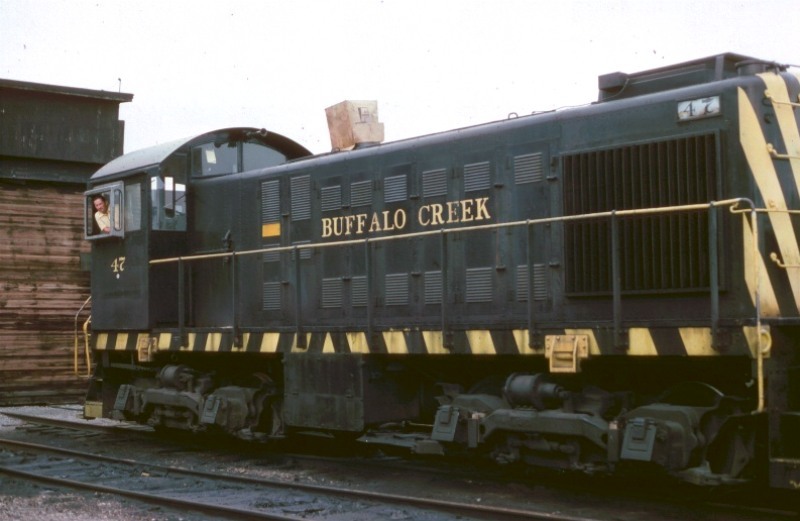 The Buffalo Creek was the workhorse for the grain industry in Buffalo and was the liason between this section of the city and the major railroads that delivered grain and other products to be milled and/or stored in Buffalo’s grain elevators. 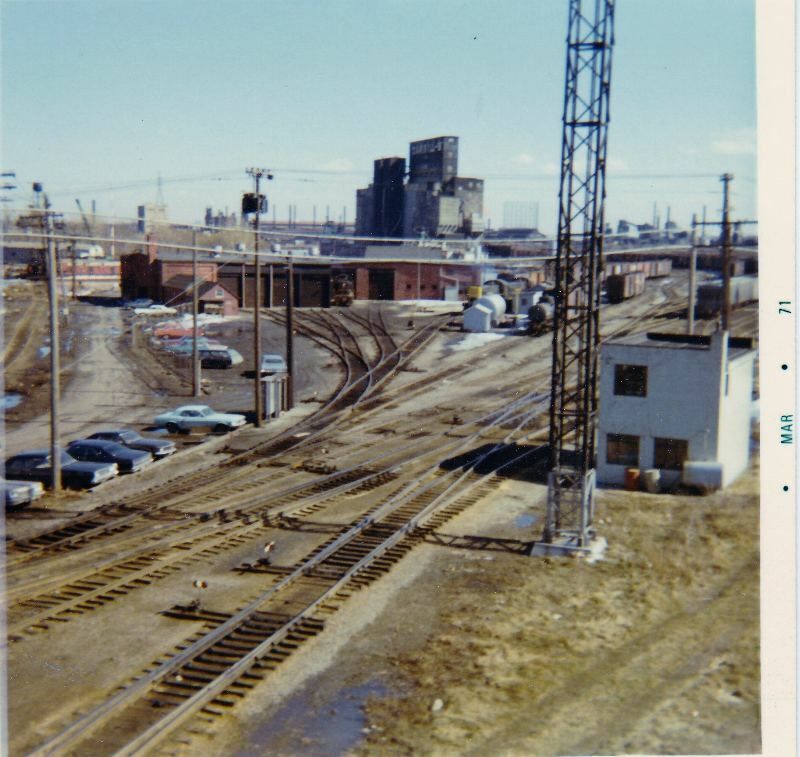 The General Mills elevator can be seen in the upper left corner of this image. 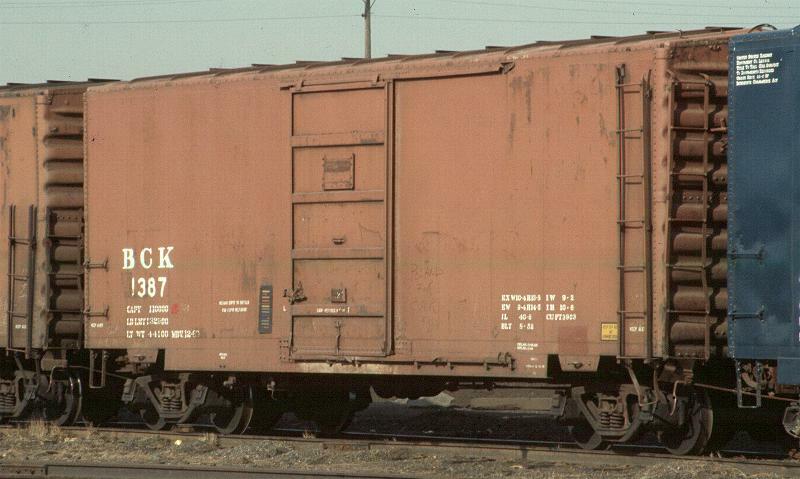 The truck in the foreground is more than likely loaded with sacks of flour or some other type of grain product. Before the redredging of the Welland Canal in the mid/late1950’s, the size of ships travelling between Lakes Ontario and Erie was limited. Thus much of the marine traffic from the western lakes (Michigan, Huron and Superior) got as far east as Buffalo on Lake Erie and then had to be transshipped via rail. 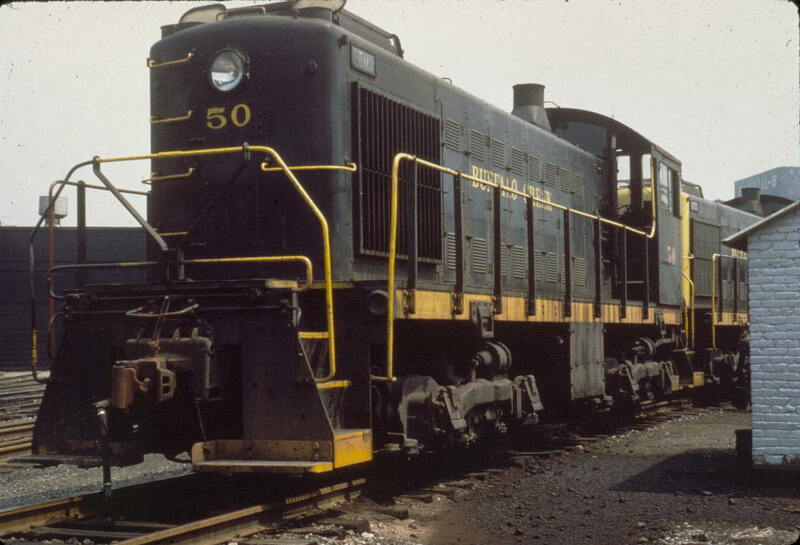 This is why Buffalo became a major port and had so many railroads entering the city. With the redredging of the Welland Canal (and the opening of the St. Lawrence Seaway) Buffalo’s importance as a port rapidly decreased. The flour sack on the logo is a reference to one of the primary commodities that was carried by the BCK. 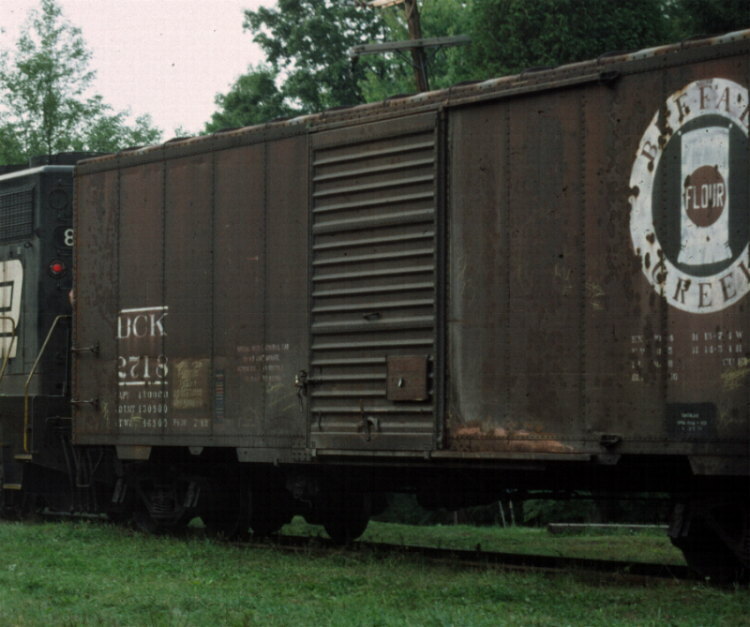 Grain is one of the major cargoes carried on the Great Lakes (as well as iron ore, coal & limestone). 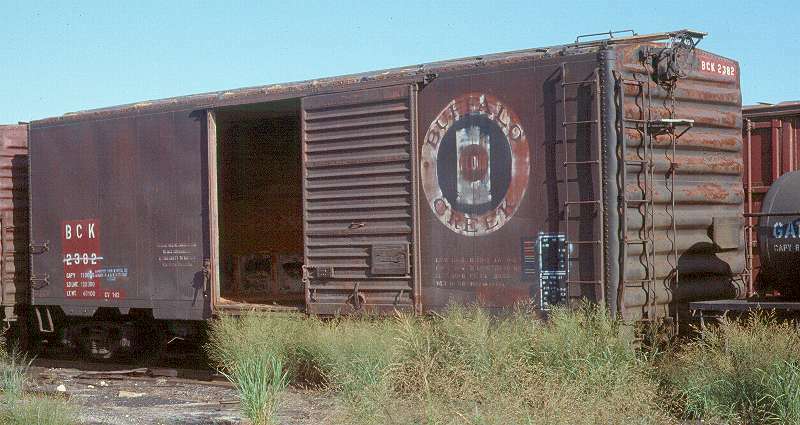 Much of this grain was offloaded and milled in Buffalo. At one time Buffalo was home to the world’s largest cereal packing plant and was a center of the flour and feed milling industries. Great Northern Grain Elevator has a great description of flour milling.